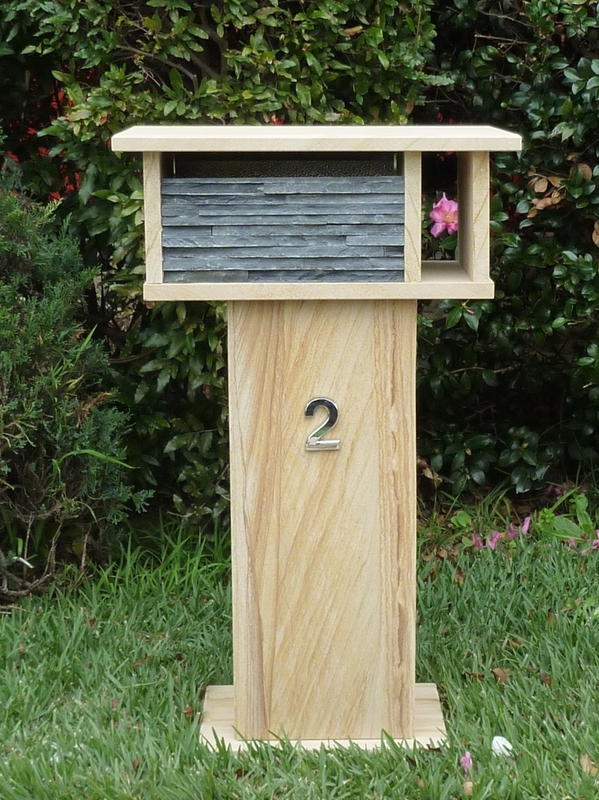 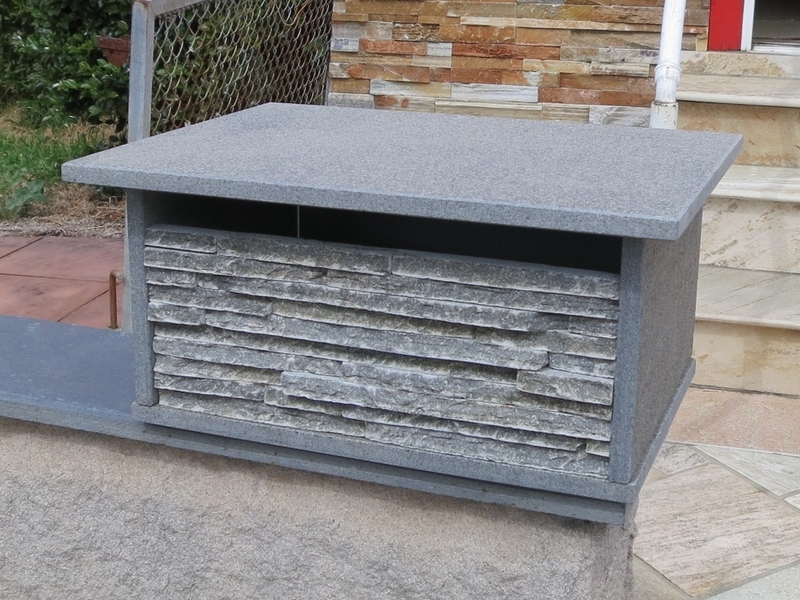 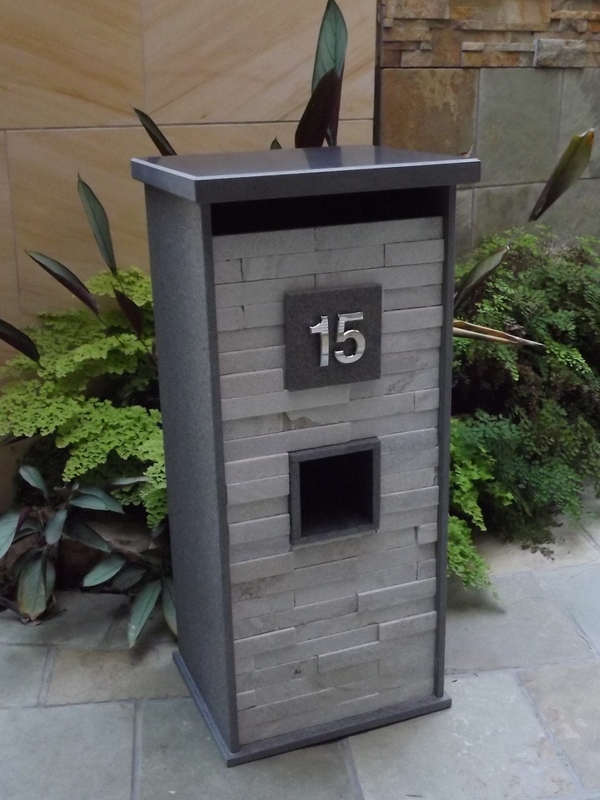 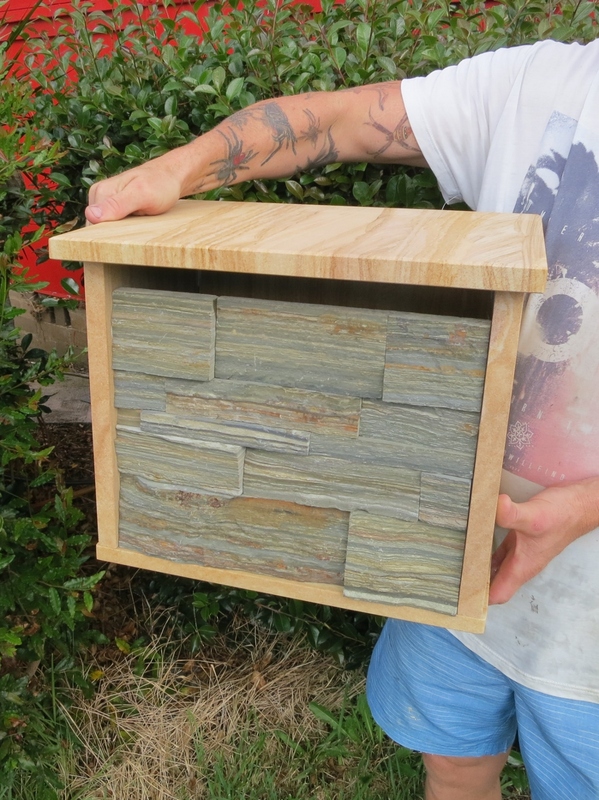 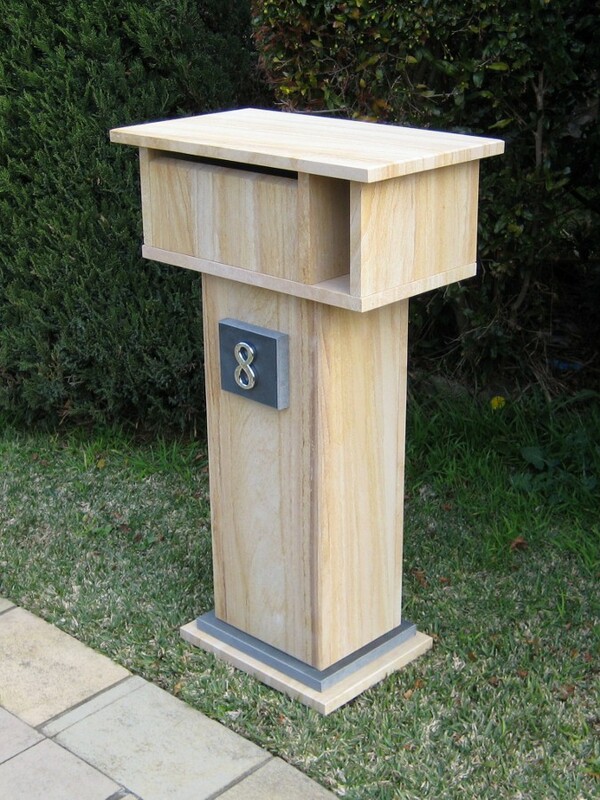 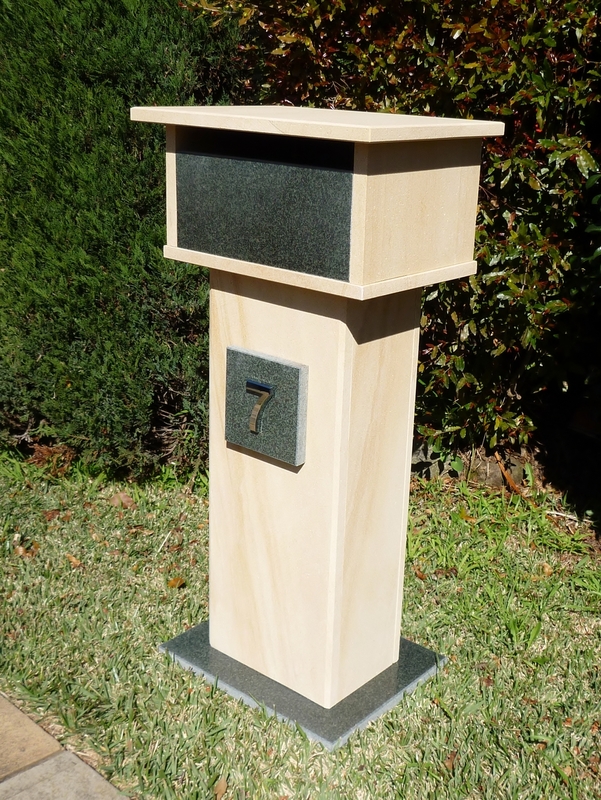 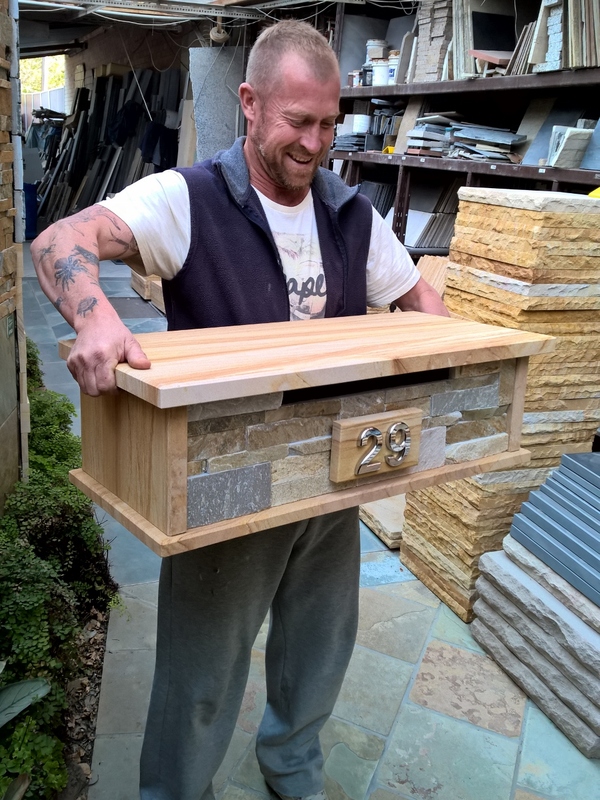 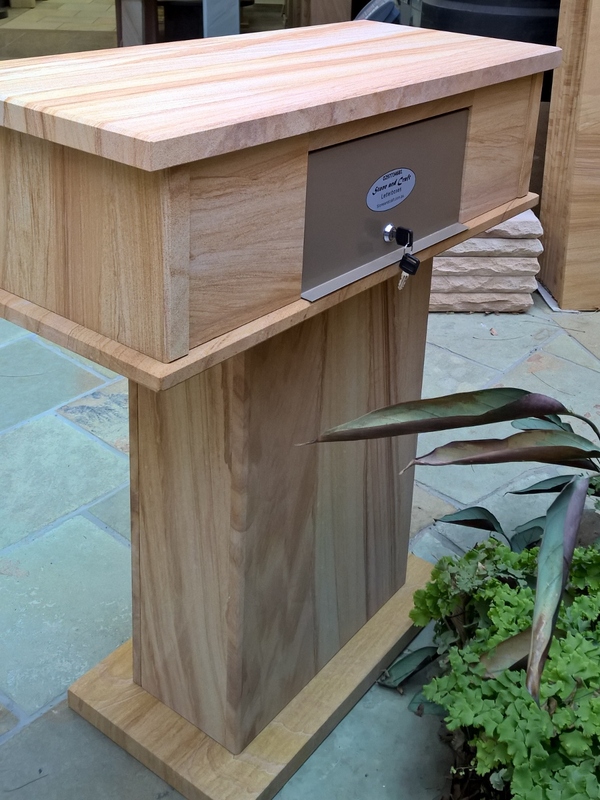 Stone & Craft's range of natural stone letterboxes are constructed from our range of top quality slate, sandstone, bluestone and quartzite and assembled using polyepoxide resin for extra durability. 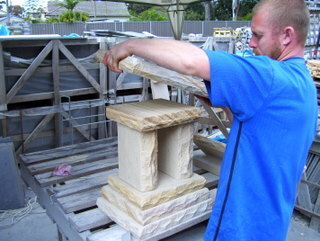 They are all made locally in our factory by our in-store stonemason. 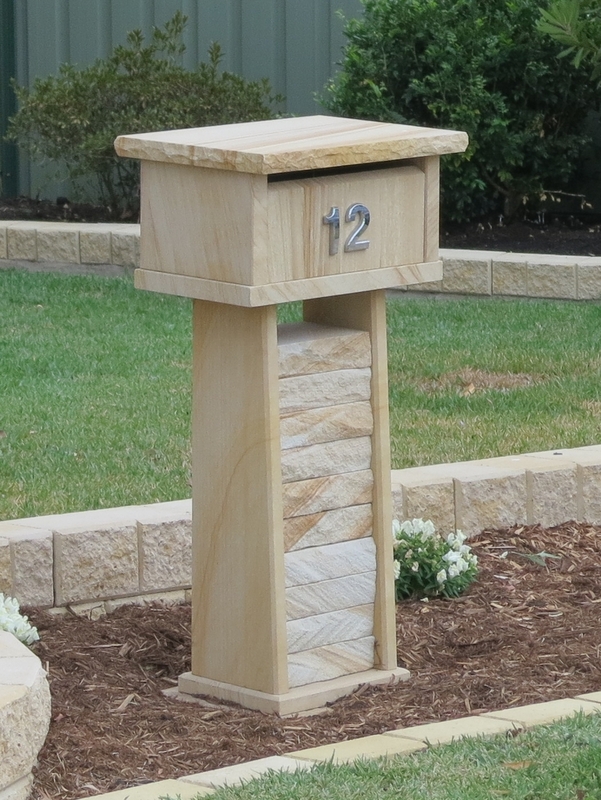 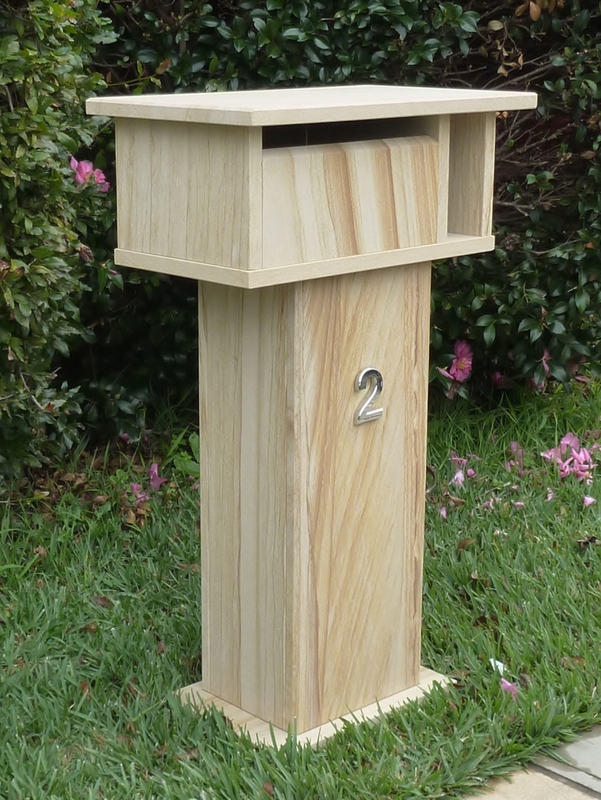 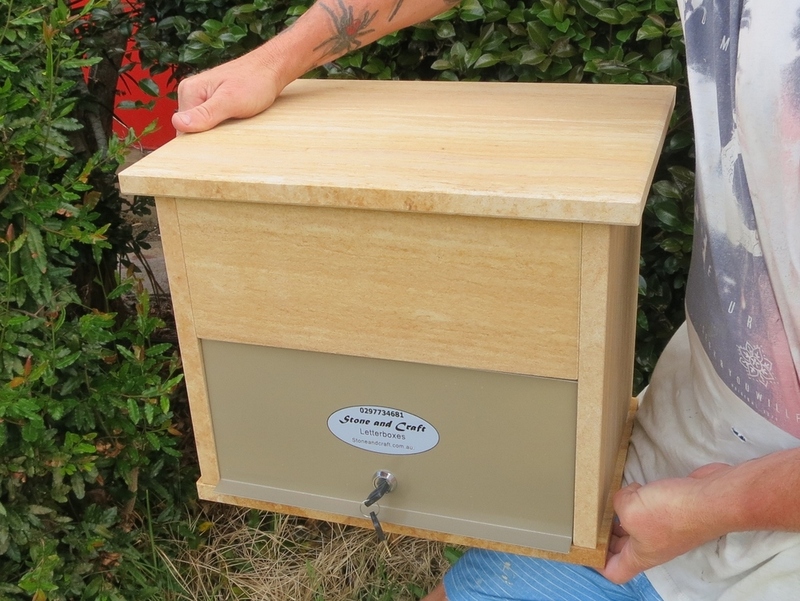 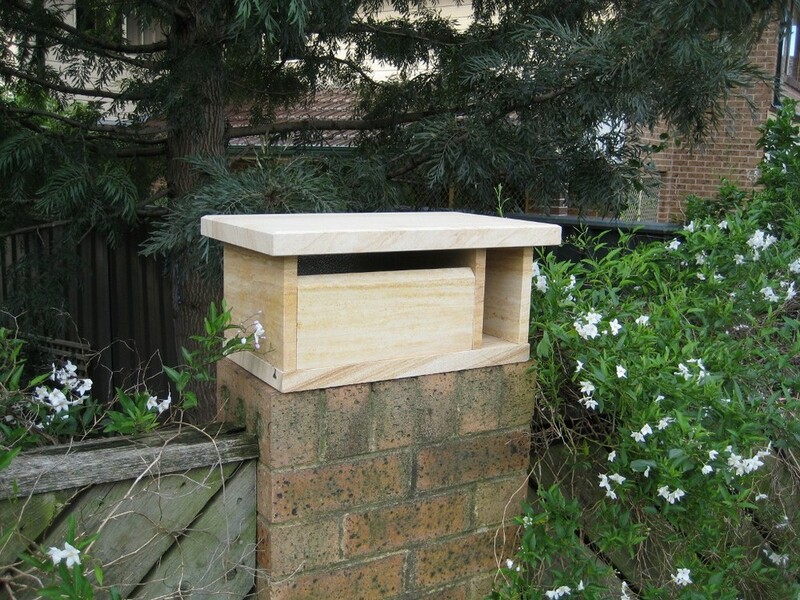 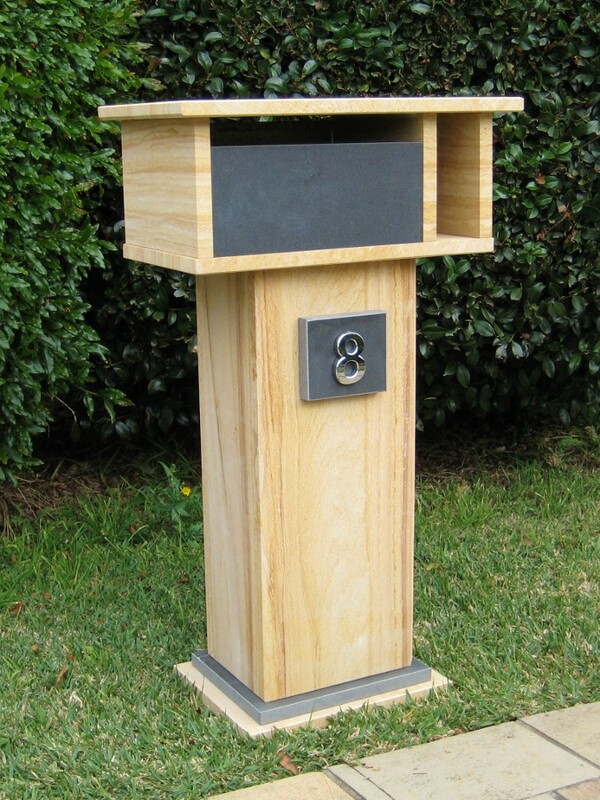 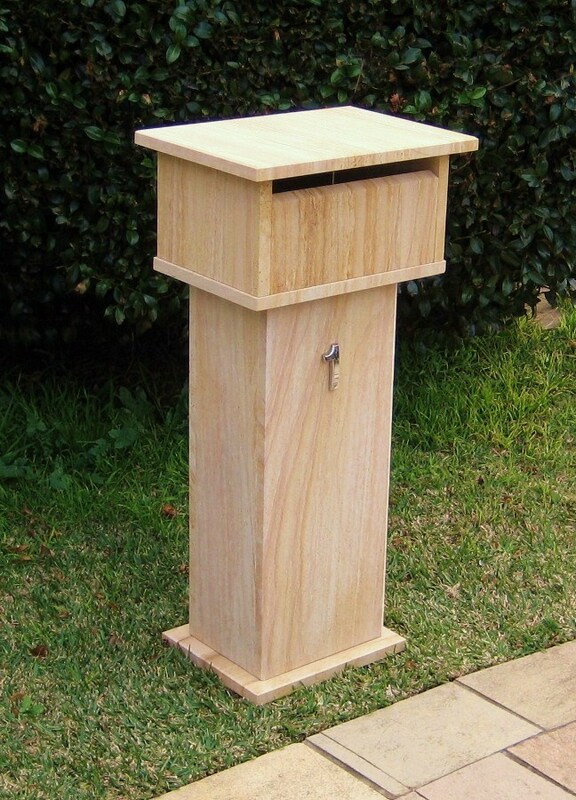 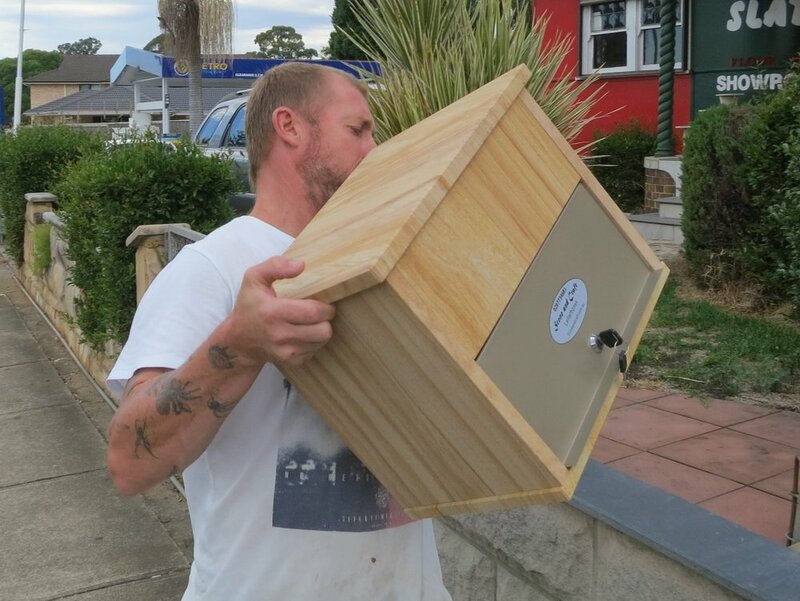 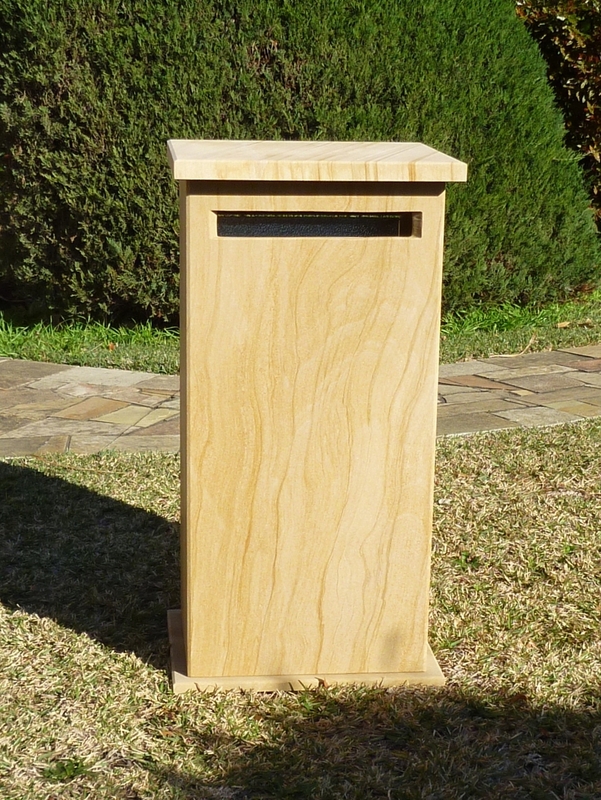 We can also custom build letterboxes to your own specifications. 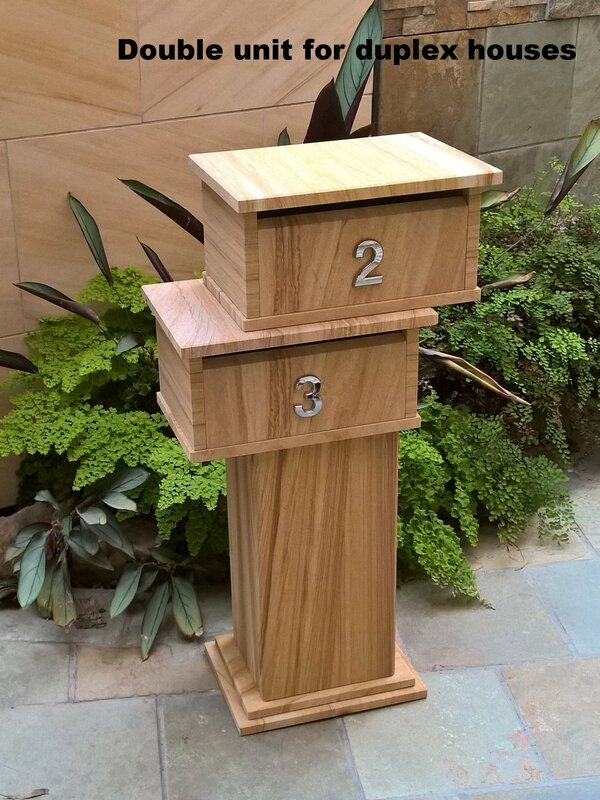 We have a large range of letterboxes on display in our showroom, with over 90 different letterbox designs on the floor all the times. 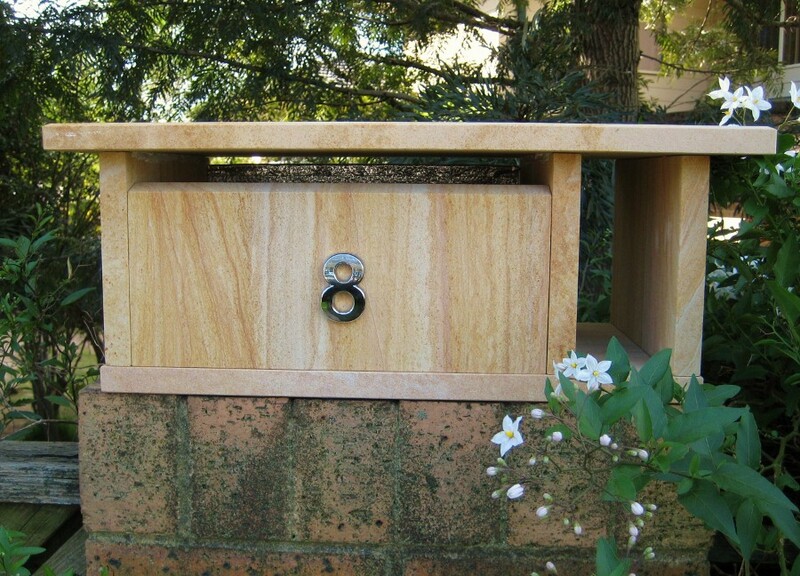 Most of our letterboxes have an aluminium door with a 2 key Australian made lock fitted (included in price). 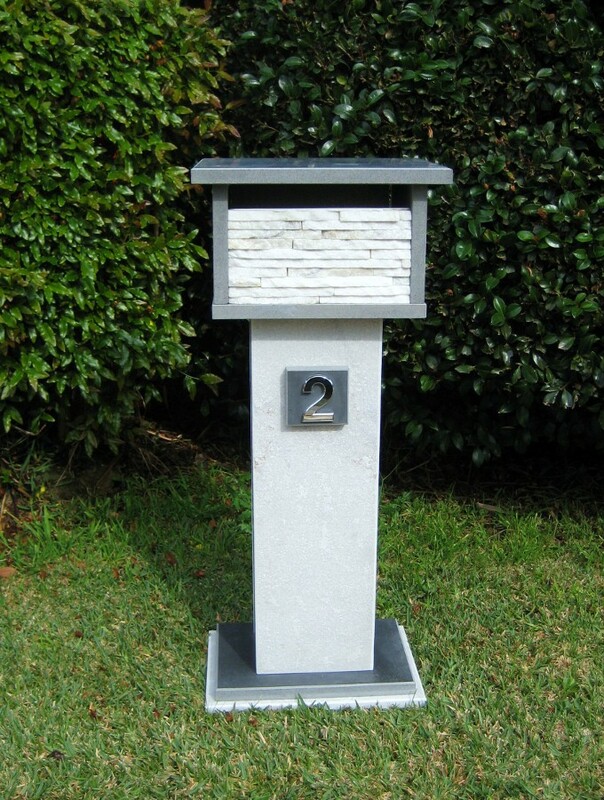 We can also attach numbers with an optional stone plate backing. 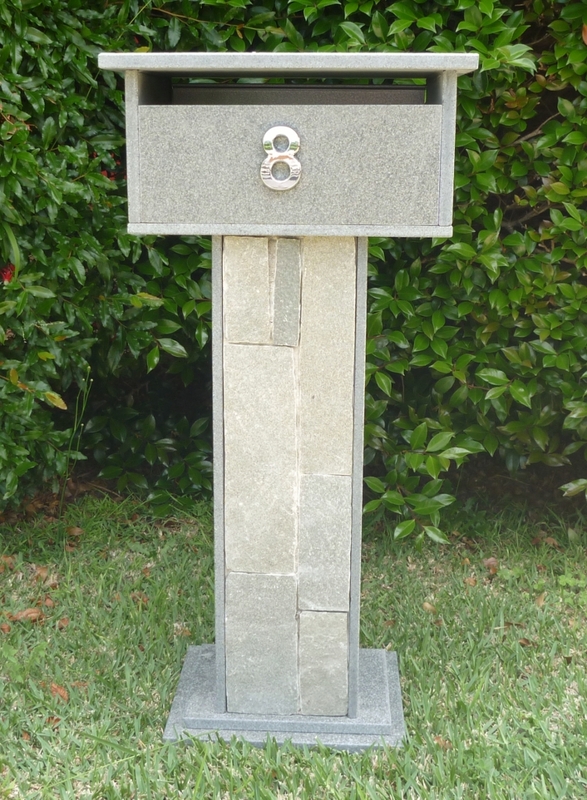 Fitting of numbers and stone backings can be completed while you wait. 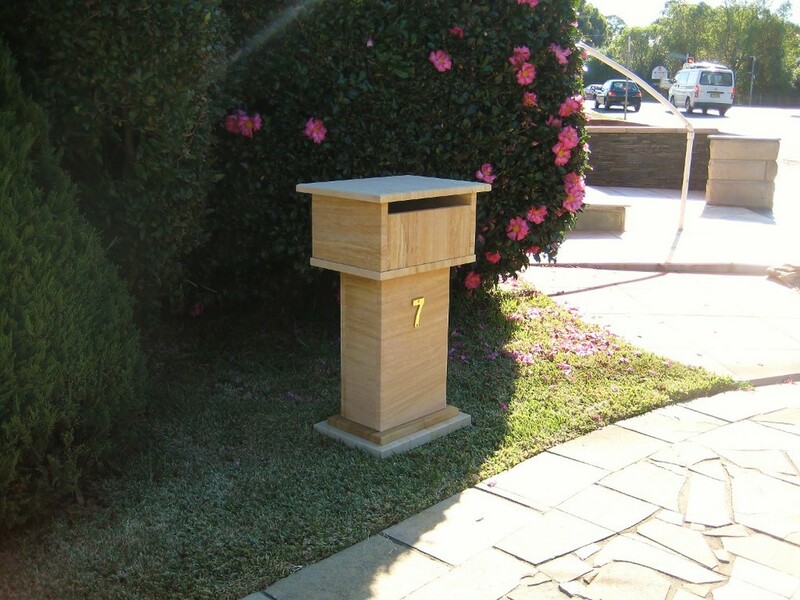 Prices for our letterboxes are shown under the picture, GST is included in the price. 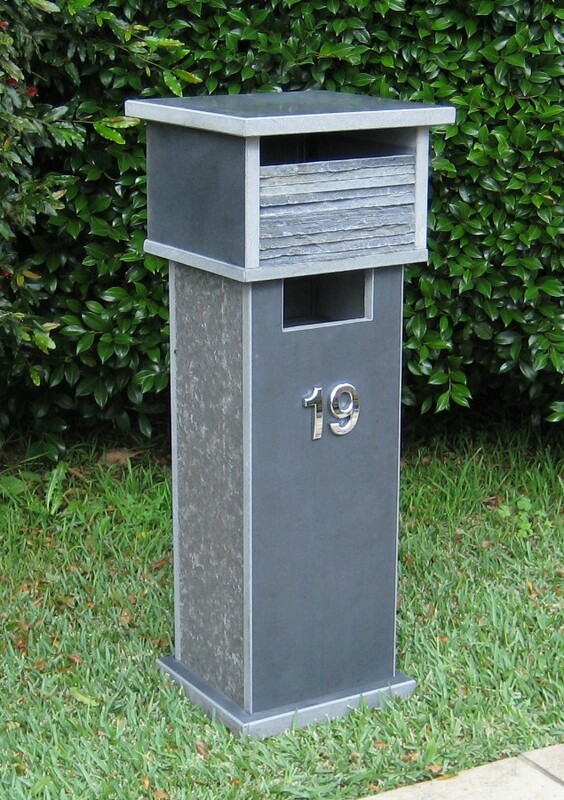 The price for fitting a street number is $11 per digit, stone backing plates are $11 fitted. 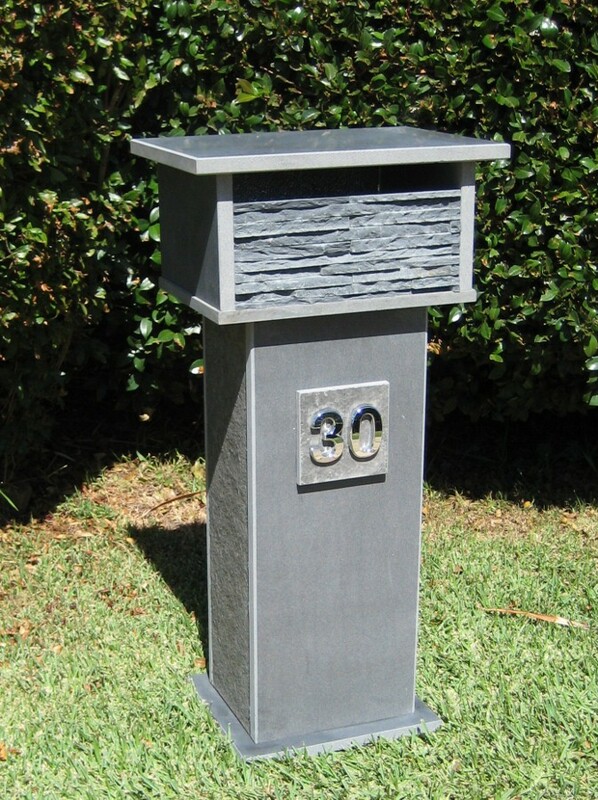 The prices for some of our specific designs can be seen below. 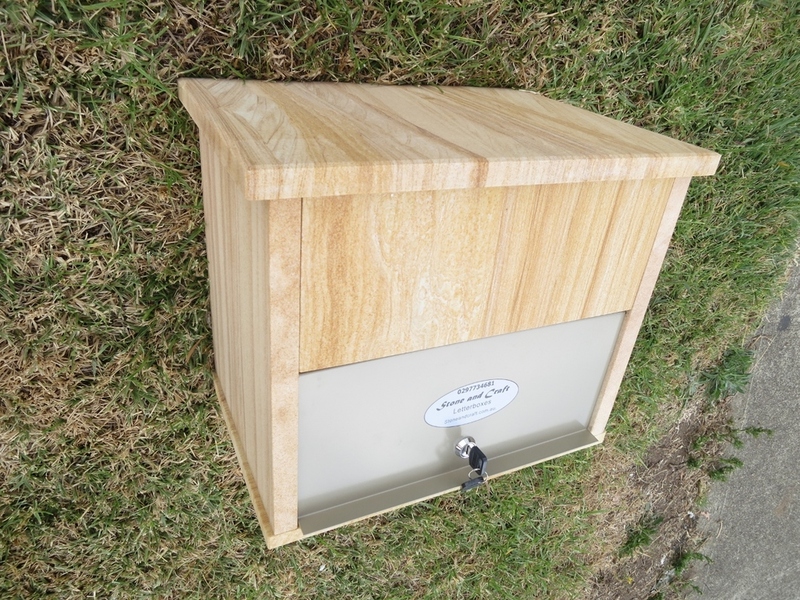 Prices include GST. 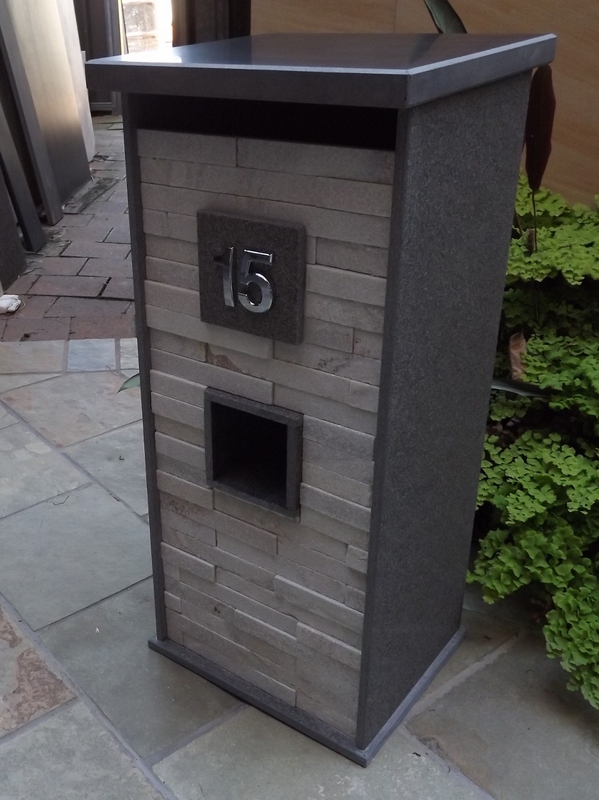 Prices depend on the shipping weight. 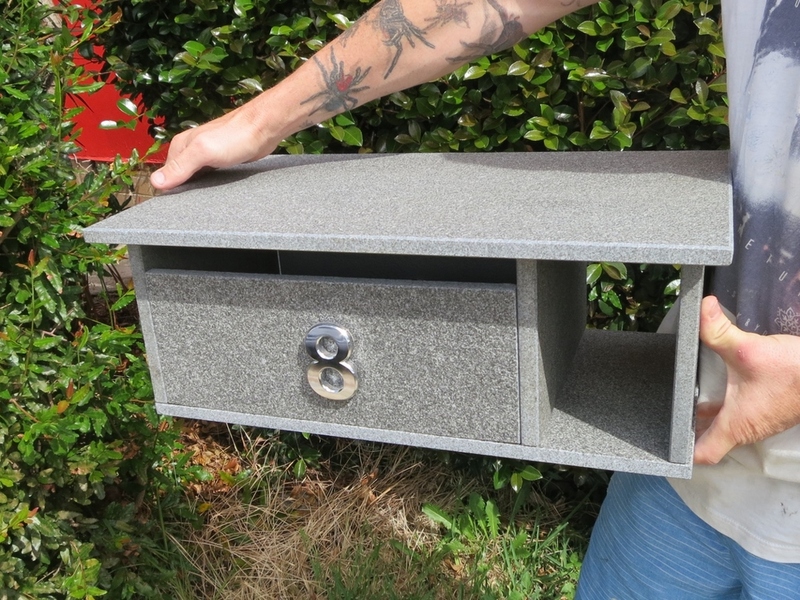 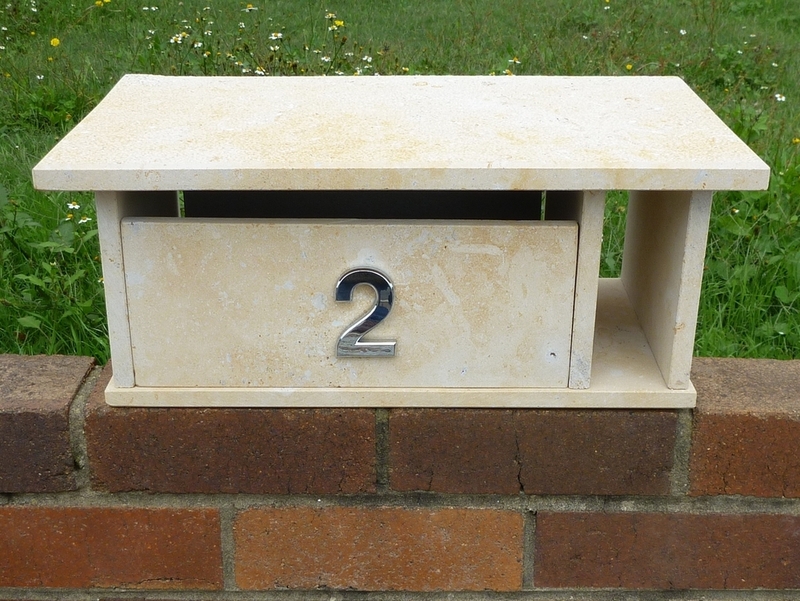 Heavy letterboxes will cost slightly more when sending via courier. 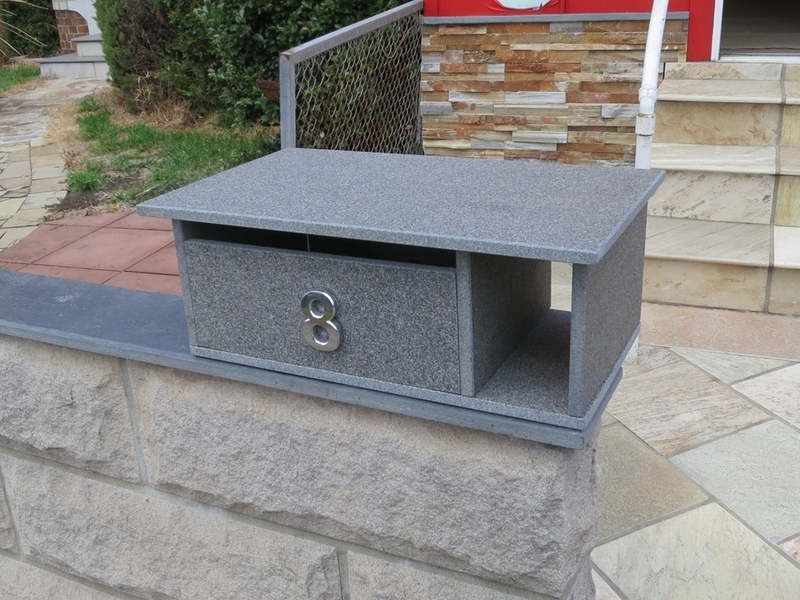 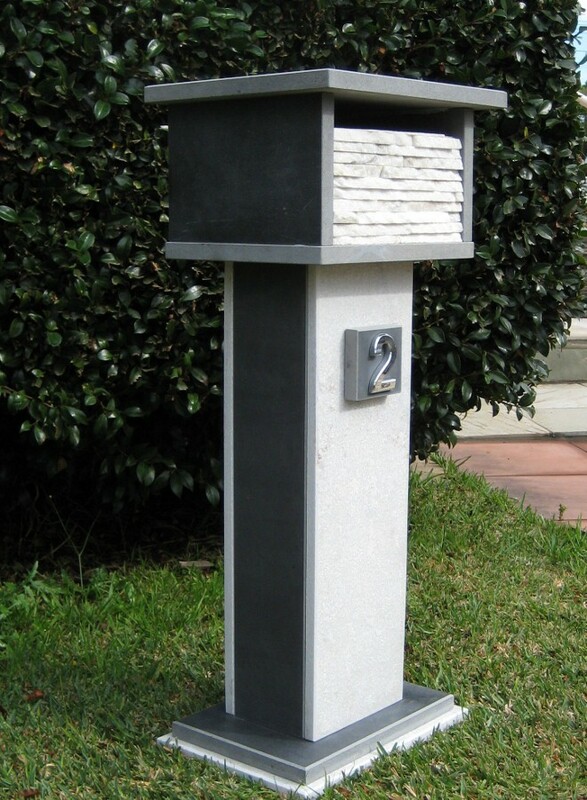 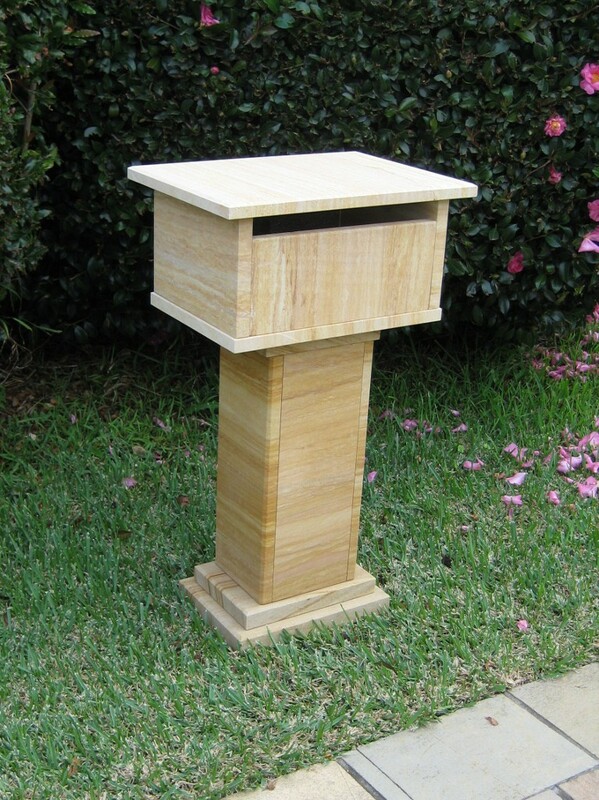 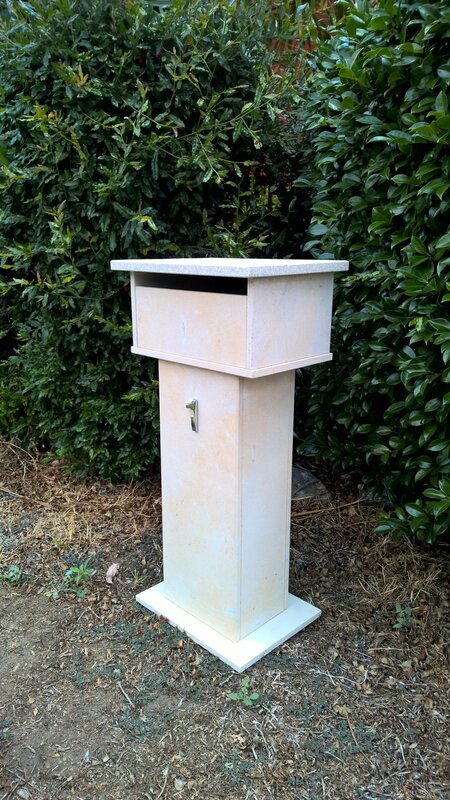 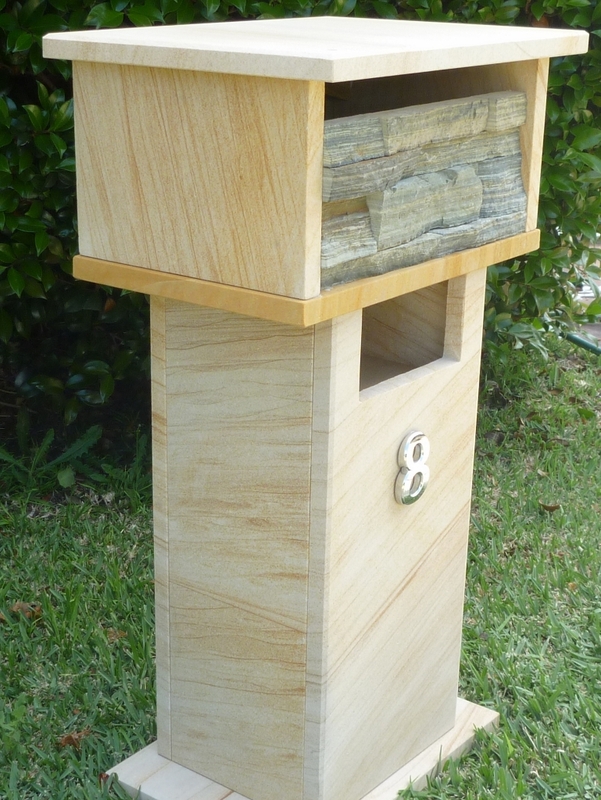 Below are images of products from our natural stone letterbox range. 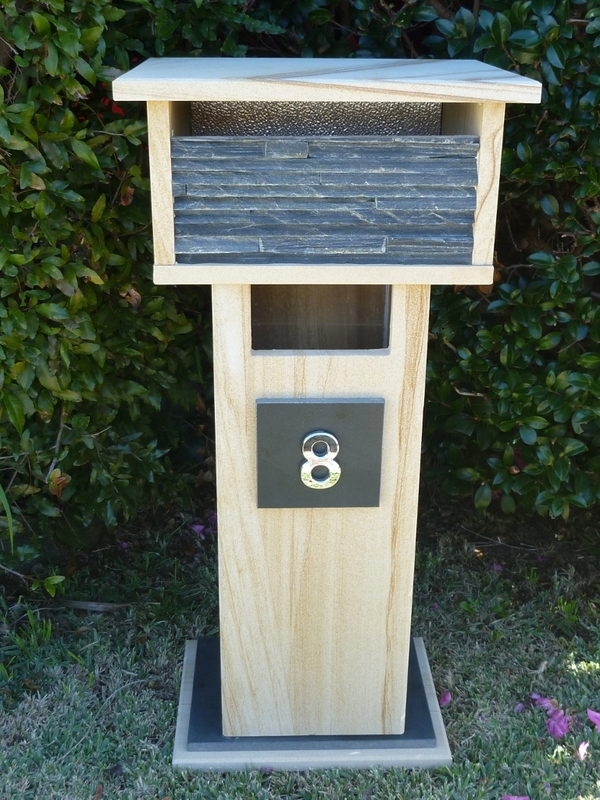 But we can also custom built. 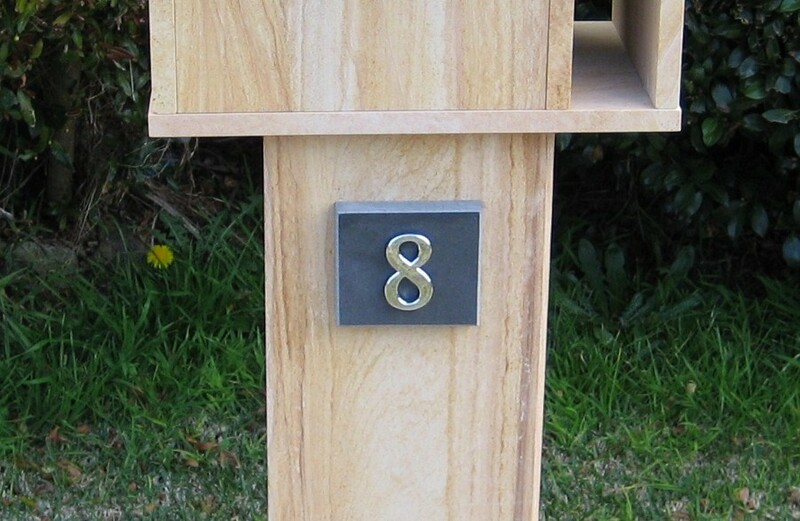 27. back door detail. 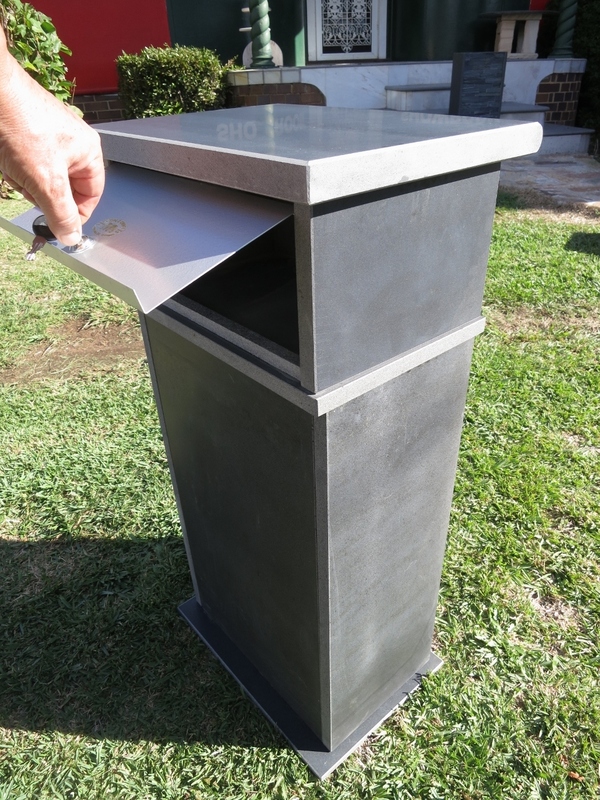 All our doors are 325mm wide aluminium powdercoat finish. 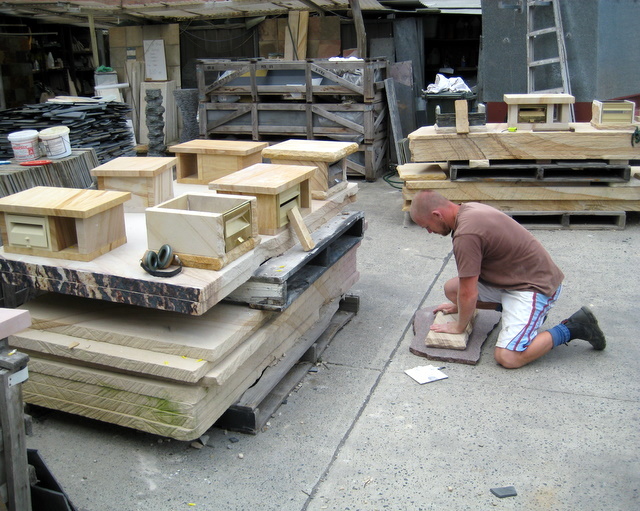 They never rust away.